The 15th Judicial District Commission on Judicial Performance recommends, by a vote of 8 to 1, with one member absent, that Chief Judge Stanley A. Brinkley BE RETAINED. Judge Brinkley was appointed to the 15th Judicial District Court in October 2001 and became Chief Judge in 2003. Prior to his judicial appointment, he privately practiced civil, criminal, domestic, and transactional law. 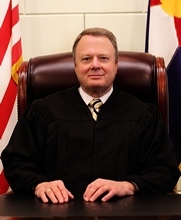 Judge Brinkley received his law degree from the University of Wyoming Law School in 1976. He is actively involved in the community: he organizes and leads a boys’ basketball camp every year; he developed and continues to run the Adopt an Athlete program through the local college’s booster club, which he also presides over; and he participates in his local church where he is an elder. Judge Brinkley’s caseload is primarily criminal actions. The remainder includes domestic relations matters, juvenile matters, civil actions, and very few mental health and probate actions. As Chief Judge, Judge Brinkley also handles many administrative duties for the District. The Commission conducted a personal interview with Judge Brinkley, reviewed opinions he authored, observed his courtroom, met with the Public Defender’s Office to listen to its concerns, and reviewed surveys completed by attorneys and non-attorneys who interacted with him. Among the survey questions was “how strongly do you recommend that Judge Stanley A. Brinkley be retained in office, or not be retained in office?” Fifty-six percent of attorneys recommended retention, thirty-seven percent recommended not to retain, and six percent made no recommendation. Among non-attorneys, fifty-nine percent of respondents recommended retention, thirty-seven precent recommended not to retain, and five percent made no recommendation. A total of 16 attorneys and 21 non-attorneys completed the judicial performance surveys. Attorney respondents gave Judge Brinkley high marks in diligence, where his rating exceeded the average combined rating of all district judges in several areas. Specifically, attorneys cited his willingness to handle complicated, time-consuming cases and his preparedness in the courtroom. The judge also received high marks for the dignity he projects and provides the proceedings. However, attorneys commented that he appeared biased at times. Non-attorneys commented that his experience and knowledge base were strengths but that he appeared to impose harsher than necessary sentences and gave defendants too many chances. The Commission did not observe the weaknesses cited by survey respondents during courtroom observations and was satisfied, during the interview that Judge Brinkley was aware of these criticisms and is dedicated to ensuring fairness in his courtroom.